BROOMFIELD, COLORADO, April 23, 2018 - Rinami, a Gold level member of Oracle PartnerNetwork (OPN), today announced it has achieved Oracle Validated Integration of Rinami Asset Performance Suite (RAPS) version 1.0.0 with Oracle’s JD Edwards EnterpriseOne version 9.2. RAPS provides sophisticated enhancements to JD Edwards EnterpriseOne Capital Asset Management for complex preventive maintenance service schedules, multi-work order maintenance and service planning, and true condition assessment to drive preventive and corrective maintenance. Rinami is an ICT services provider formed in 2009 to deliver services to asset intensive businesses. The business has grown to now deliver integration systems, custom mobile applications and expert consulting services to customers across the world. Rinami has extensive expertise in delivering integrated applications into Enterprise Resource Planning (ERP) software, across multiple asset intensive businesses including mining and resources, agribusiness, logistics, multi-mode manufacturing services and local government sectors. Our focus aim is to deliver business solutions to business problems. This approach means that the value of our services is immediately identifiable and the planned benefits on offer are quickly realized. From experience we can provide a deep understanding of computerized maintenance systems, data analytics, machine integration and cloud solutions. The Condition Assessment module is an extension of the standard JDE Quality Management and Condition Base Maintenance that integrates to two modules to provide powerful conditional assessment functionality. Organizations can define specific test methods (e.g. checklist items) that are then combined into a specification (checklist). This is then overlaid with asset or asset class specific tolerances to determine both failure and warning limits. Recorded quality results can then be considered by the standard JDE Condition Based Maintenance system to trigger alerts, update PM schedules or create additional Work Orders. 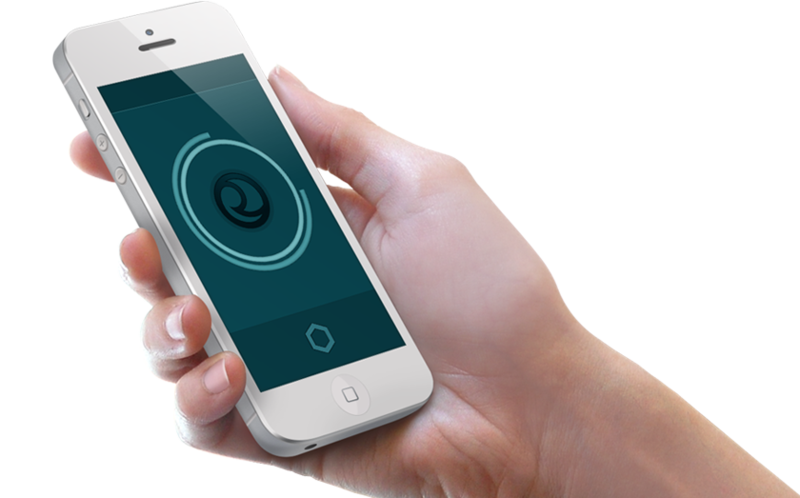 The Condition Assessment can also trigger the Rinami Cantara Integration Platform integration for push notifications. The Shutdown Planning module is designed to greatly simplify the steps involved in managing multiple Work Orders when planning major maintenance events such as shutdowns or major services. The module gives the user a single view of maintenance events (Parent Work Order) and all Work Orders assigned to the event. From here the user also has the ability to allocate additional Work Orders as well as deallocate assigned Work Orders. Scheduling changes can be applied at parent, work order or routing operation level and all dependent schedule elements, such as resource assignments, are automatically updated as required. Oracle PartnerNetwork (OPN) is Oracle's partner program that provides partners with a differentiated advantage to develop, sell and implement Oracle solutions. OPN offers resources to train and support specialized knowledge of Oracle's products and solutions and has evolved to recognize Oracle’s growing product portfolio, partner base and business opportunity. Key to the latest enhancements to OPN is the ability for partners to be recognized and rewarded for their investment in Oracle Cloud. Partners engaging with Oracle will be able to differentiate their Oracle Cloud expertise and success with customers through the OPN Cloud program - an innovative program that complements existing OPN program levels with tiers of recognition and progressive benefits for partners working with Oracle Cloud. To find out more visit: http://www.oracle.com/partners. Rinami is a registered trademark of Rinami Pty Ltd. The Cantara Integration Platform provides a powerful solution for creating RESTful services for Oracle JD Edwards EnterpriseOne as well as a comprehensive platform of mobile applications and client software development kits for mobile and desktop applications. What you may not know is that the solution also incorporates a powerful batch scheduling tool at no extra cost. The scheduling platform overcomes a number of key deficiencies in the standard JD Edwards EnterpriseOne batch scheduler and at a price point that makes deployment an easy decision. So, what are the key pain points of the JD Edwards EnterpriseOne batch scheduler and how does the Cantara Advanced Job Scheduler overcome these? There are only two ways to deal with inter-job dependencies with the standard JD Edwards scheduler and neither of them are very appealing. The first, not so safe way, is to just make sure that jobs are scheduled far enough apart that the first job is finished before the second one starts. Of course, there is no guarantee that the first job will not be held up unexpectedly and the second job will just kick off any way. The second, more common method, is to schedule all dependent jobs in a single threaded queue. Unfortunately, this is a very inefficient method and leads to extended batch processing windows, especially when there are multiple jobs involved. The Cantara Advanced Job Scheduler has a very clever way of overcoming this problem and making the overall batch schedule much easier to manage. The first element is to enable batch jobs to be scheduled in groups with dependency definition within the group. The second element to the solution is the ability to define dependencies between groups. Let’s look at these two elements in more detail. Generally, day end processing incorporates several closely related batch jobs that must be appropriately sequenced. A good example of this the manufacturing day end batch jobs. Within the Cantara scheduler can you can define a manufacturing day end group and place within this the manufacturing accounting and work order commitments repost batch jobs. You can define the group as being sequential on success, which basically means that each job within the group must complete before the next job is submitted in the order specified. What this means that rather than having to schedule 5 batch jobs independently, the user only needs to schedule the group. If any of the jobs fails then the group will stop processing and a notification email will be sent to the designated monitor for that group. Cantara also supports parallel submission within a group if dependency is not an issue. On top of group scheduling, Cantara then allows the definition of inter-group dependencies. So, to use the manufacturing account group example, you can also define a GL batch post group and make this dependent on the completion of the manufacturing accounting group. Cantara supports multiple dependency types include submit on success, submit on completion (even in the prior group has errored) or submit on start which means that group b won’t start before group a but can run in parallel. The added benefit of inter-group dependencies is that a single group can be dependent on the completion of an unlimited number of other groups. In the case of GL batch post, we may require that manufacturing accounting, sales day end and AR/AP processing have been completed before the GL batch post is submitted. This enables users to schedule the three prior groups to run in parallel thus maximizing system utilization and minimizing the window within which the day end processing must run. The JD Edwards schedule does not contain any effective method of schedule monitoring and thus organizations generally must revert to third party tools that monitor the JD Edwards database. This approach is complicated and not easily repeatable as the parameters that constitute failure tends to differ between jobs. The Cantara Advanced Job Scheduler has a simple monitoring and notification system that allows users to define notification triggers and to incorporate standard enterprise system monitoring tools if required. Not only does Cantara monitor the state of the submitted batch job but it also tracks the run time of the scheduling group. Users can define a minimum, target and maximum run time for each group and can decide if a group executing outside of these tolerances constitutes a failure. The maximum run time is an easy metric and generally indicates that a batch job has encountered a problem either through incorrect data selection, invalid processing logic that has caused an infinite loop or system performance problems. As soon as the maximum run time is exceeded a notification is sent the group monitor informing of the issue and Cantara can also cease execution of the group in this instance based on group configuration. The minimum run time threshold is utilized to ensure that a scheduled group has completed some data processing. There’s nothing worse that assuming the batch job has processed successfully only to find that all the report displays is a message stating “No Data Selected”. In addition to this, enterprise monitoring tools can interrogate the state of the batch scheduler and check for failed groups either through REST services published by Cantara or direct access to the Cantara scheduler database if preferred. Cantara allows access to the PDF or CSV output of JD Edwards batch jobs directly from the Cantara Administration Console. In addition, you can choose to have these outputs emailed to one or more subscribers automatically on job completion. How many times has an organization stop their batch scheduler for a period of time, forgotten to purge the missed jobs, restarted the scheduler and then seen their batch queue fill with jobs that are not required. The Cantara Advanced Job Scheduler provides a simple method to deal with this situation. There are two options for each scheduled group. The first is to just skip the execution until the next scheduled trigger point and the second is to submit the group once immediately before then resuming the normal schedule. As Cantara still maintains dependencies between groups it makes stopping and starting the scheduler a painless experience. One common requirement for organizations is to prevent jobs like GL batch post from running whilst month end processing is being carried out. For most, this requires the schedule to be manually adjusted to disable the jobs and then another adjustment to reenable them which can be a tedious process. The Cantara scheduler allows for exclusion calendars to be defined and applied to multiple scheduling groups. In simple terms, you may choose to have a batch post job run every 15 minutes and then exclude execution for three days during month end processing so that it can be run manually as required. A common headache for users of the JD Edwards scheduler is the requirement to actively maintain processing options and data selection that incorporates things like processing date, current financial period, or multiple changing business units. The Cantara scheduler overcomes this limitation with a couple of powerful features. The first is that the Cantara scheduler can override processing options and data selection on report submission. This allows users to define a single version within JD Edwards and then reuse that version multiple times, with different processing options and data selection, within the Cantara scheduler. So, when changes are required, especially to data selection, it is no longer a requirement for the version to be promoted through multiple environments and for a JD Edwards package to be built and deployed for those change to take effect. The second feature is the use of variables within processing options, report interconnects and data selection. Let’s say for example that you have multiple reports which all require the current financial period to be defined. Within Cantara you would define a variable that equates to the current financial period and then apply this variable to each of the reports that requires it. Now a change to the variable value is automatically applied to all reports that utilize that variable making period close and changes a simple task. In addition, Cantara variables support basically calendar arithmetic. This allows users to define data selection and processing option dates that are calculated from today’s date. This means you can now set a report processing date to be Today minus or plus any number of days. With the Cantara scheduler, a wide range of scheduling patterns can be achieved. No longer are you limited to a static interval based of a start time. You can choose simple patterns like run every 10 minutes or 24 hours up to far more complex patterns such as run at 5:30pm every Mon, Wed and Fri and only in the months of October to December. In addition, Cantara is JD Edwards date pattern aware which means jobs can be scheduled based on the financial date pattern of any company. You may wish to schedule jobs to run on the last day of the period or the first weekday of the period or the last Friday of every quarter. All of these options are possible with the Cantara scheduler and, combined with the advanced dependency management, an extremely efficient and robust job schedule can be defined for any organization. A major pain point for organizations that are required to meet strict service level agreements and availability targets is the fragility of the JD Edwards scheduler. The Cantara Advanced Job Scheduler overcomes this issue in two ways. Firstly, the Cantara Integration Platform supports horizontal scaling which means that multiple Cantara instances can run the same schedule at the same time. Thus, if a single Cantara instance fails the schedule will continue to run as expected. Secondly, the Cantara Integration Platform supports load balancing and fail over between JD Edwards batch servers. No longer is the JD Edwards schedule required to run on a single JD Edwards enterprise server and the processing can be spread across multiple servers. If any single batch server fails, Cantara automatically removes it from the group and continues processing on the remaining servers. In addition, Cantara batch server groups are self-healing so if it detects that the batch server has resumed operation it will be automatically included back in the group. The Cantara scheduler allows scheduling across multiple JD Edwards environments. For example, you may choose to define a full job schedule against the CRP environment before changing over to the UAT and then finally the production environment. Alternatively, you may choose to have a mixed schedule with some jobs running in production and other running in non-production. All of these options are available with the Cantara scheduler. Cantara provides a flexible extension framework which can be included in the job schedule. This means that jobs that are not part of JD Edwards can be incorporated into the schedule, including dependencies. Out of the box Cantara comes with extensions for script execution (for all platforms) and AIS service execution. An example of where this is useful would be to kick of ETL jobs that extract data into a data warehouse once the day end processing has completed. Another option would be to populate Z Tables within JDE prior to executing the import batch job. Extensions can be written for any number of different applications and situations and therefore greatly extend the reach and flexibility of the Cantara Advanced Job Scheduler. In summary, the Cantara Advanced Job Scheduler is everything that the standard JD Edwards batch scheduler is not. Combine this with Oracle Validated Integration and all of the integration and mobility features of the Cantara Integration Platform and you have a powerful tool to greatly improve the performance of your ERP platform. If you would like further details on how the Cantara Advanced Job Scheduler can be utilized within your business, please contact us at Rinami. Work Order Activity Rules OK? Setting up your work order activity rules for equipment or service management work orders is a critical piece of the puzzle. This is a quick guide on how it's done and what to consider for different types of orders. Tip #1: Do not use numeric work order statuses for equipment and service work orders if you can avoid it. The reason being is that manufacturing work orders require numeric status values and mixing the two together can cause all sorts of head aches. And don't fall into the trap of thinking you'll never use manufacturing work orders because chances are you will, especially if you assemble kits or have rotable items. For this post we'll use a corrective maintenance work order for the example. Order activity rules are defined by the combination of document type and work order type so in this example we will use WM for our maintenance orders with a type 1 which indicates are corrective as opposed to say a preventative activity. The first line item shown is the default status for this work order type. Because this is a corrective work order we are creating the order at effectively an unapproved status. Now you can have workflow kick in for the process of approvals but that is outside of the scope of this post. The Next Status field defines the default next status for the work order. The fields Allowed Status 1 through 5 define alternative allowed statuses. So for a corrective work order at status M the options are to either approve the work by moving it to status MA or alternatively to reject the work request by moving it to status MM which is cancelled. Subledger Inactive - when set to I this prevents any financial transactions being created or updated on a work order at this status. So it in effect locks the subledger. Maint. Status - if this work order is linked to a PM Schedule record a move to this status will cause the PM Schedule item to change status. Alert Status - if this work order is linked to a Condition Based Maintenance alert then moving to the selected status will update the associated alert to the defined status in this column. Lock Flag - this determines whether changes can be made to the work order at this status. There are multiple options which will cover further in this post. Edit Authority - this indicates the role that can make changes to claims at each status within Warranty Management. This is outside of the scope of this post. So coming back to the first line, you can see that the subledger is inactive but the work order is open to being updated. The inactive flag is set at this status because we do not want users performing any transactions against an unapproved order. This includes being able to raise either requisitions or purchase orders against this work order. You'll note the last line on this status flow is MM and there are no alternative statuses available. So if a user changes the work order status to cancelled then they will be unable to change the status. Once the order is approved there is still no ability to raise requisitions or purchase orders against it. The order must be moved to W/O in PLanning or higher status. You can also still choose to cancel the order at this point. W/O in Planning allows subledger transactions. Whilst this is required as the planner may need to raise orders against it, this does mean that one of the key controls to prevent actual financial transactions from being executed has been removed. That is, a user may be able to book time against a work order still in a planning state. The MH status is effectively the status where the work starts. All statuses up to this point are different states of planning. In this example, a work order at MH status can still be cancelled. This may not be appropriate as it is not recommended that a work order with costs already booked to it is cancelled. You may wish to introduce an alternative status for orders that are closed without the work being successfully completed. MJ status indicates that the all work order the order has been completed. We cannot lock the subledger at this status because there will still be financial transactions to complete. One of the main pain points for this is the processing of accounts payable. Without an unlocked subledger you will be unable to match vouchers. You'll notice at MJ status we set the locked flag to 3. This means that the work order can still be modified but when this status change occurs the completed date will be automatically populated. MK is the closed status of the work order where all financial activities have been completed. The lock flag is now changed to 4 to prevent any changes to the order. We still allow the status to move back to MJ as there may be a requirement to book further costs to the order. Tip #2: If you are using PM schedules or Condition Based Maintenance alerts then MJ would be the status where you update the related record status. So in the case of the PM Schedule you would set the status 99 to indicate that the work has been completed and the PM task can be scheduled again. With the CBM alert you would set it to work completed so that it can be closed out. With the release of the 9.2.1 tools, the JD Edwards product now moves a number of components to database storage. In particular, UBE output as well as media object attachments are no longer stored on normal file storage. With version 4.3 of the Cantara Integration Platform we have included support for accessing UBE output and media object attachments. You can now create client end users within the Cantara Administration Console rather than only utilising JD Edwards user accounts. Cantara enables user overrides, such as address book number and default branch to set at either individual user or group level. Each user or group can then connect through to JD Edwards using a single JD Edwards user account. Cantara supports all of the features of the Oracle JD Edwards EnterpriseOne AIS server. Therefore you can now build completely integrated solutions that leverage off business functions, the JDE data access layer, report execution and now interactive applications within a single solution. Cantara now provides a completely extensible framework that enables custom solutions and integrations to be built within the Cantara Integration Platform. Extensions can be provided for other third party solution integrations, such as SalesForce.com or Microsoft Sharepoint, as well as custom business logic modules for complex integration requirements. Extensions can also be scheduled which means that you can incorporated custom components into you batch scheduling requirements. With file routing, customers are now able to direct file attachments to multiple destinations. Cantara accepts file either through the REST interface or via email submission. Using metadata associated with the file it can be routed to multiple outputs including file storage, printers or media object attachments. For example, you can generate a invoice from within BI Publisher in JD Edwards EnterpriseOne and then have the output attached to the Sales Order Header within JD Edwards for easy reference. It can also be stored in a document management system at the same time provided an indexed archive. From within the Cantara Administration Console it is now possible to view the PDF output from the schedule jobs. In addition, an email destination can be set for each request so that the PDF or CSV output can be delivered via email once the job has completed. In addition to the existing SMB and FTP access methods, Cantara now supports the more secure SFTP protocol for media object file access. For more information or to request a demonstration please contact us today. Rinami will again be attending and presenting at Collaborate 2017 in Las Vegas on April 2 - 6. Venti, Double-Caffeinated, Mobile Field Service Solution where you can see how Espresso Mechanics, a division of Cerebos Foods, was able to leverage the Cantara platform to deliver a modern field service management solution to both their internal technicians as well as sub-contract resources. Modernize your existing JDE with mobility and integration to how you can extend the life of your existing Oracle JD Edwards EnterpriseOne system through the strategic deployment of integrations and mobile solutions with Cantara. And please come along to booth 328 to see a number of IoT and mobile solutions and have a chat to us about how Rinami can support your business. 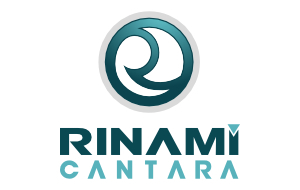 The next major release of the Rinami Cantara Integration Platform is now available. Version 4.1.0 is a maintenance release with a number of performance improvements regarding cache management and memory utilisation. It also improves the error handling required when dealing with the Oracle JD Edwards EnterpriseOne XML dispatch kernels. This is just a quick summary of a few of the settings you can change on your JAS instance to give the best user experience in browsers like Google Chrome or Mozilla Firefox as well as Internet Explorer. All of these settings can be found in the Web Runtime section of the jas.ini but changes should always be made using Server Manager. ActiveX controls are going the way of the dinosaur with Microsoft announcing that Internet Explorer has reached the end of it's life. To enable a consistent experience across multiple browsers this should be set to false. Before doing this though you should be aware of the impacts. Firstly your users won't be able to view Microsoft Office documents directly inside the browser window and also they will not be able to import directly from an Excel file (CSV and copy and paste will still work fine). The other major impact is that all of the text attachments currently in your JDE system will need to be converted to HTML format from RTF. You have two options on how to deal with this. You can let your users convert the text to HTML when they first view it after this setting has been changed or alternatively you can run the batch conversion to do it for them. Our recommendation is that it depends on how many F00165 records you have. If you have been on JDE for a significant amount of time then it is likely you have a large number of text attachments and in all likelihood most of those attachments will never be viewed again. In that case you may choose to just leave them and if users need to view existing attachments they can do the conversion on demand. Details on running the batch conversion can be found in the Oracle documentation. This basically ensures that if the browser can handle the file type, ie the PDF file, then it will be opened and displayed automatically within the browser rather than having the browser prompt the user to save the file. If you have any other settings that believe improve the user experience then please leave a comment below and I'll look to add them to this post.